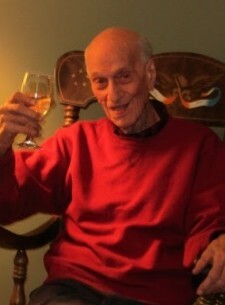 Portland: Antonio (Tony) A Seneca, 87, of Portland passed away on October 30, 2018. He was born in Portland, a son of Joseph and Enrica (Rita) Seneca. Tony was educated in the Portland schools, joining the Airforce and serving for four years during the Korean War as a weapons specialist, earning the Korean Service Medal and other honors. Upon returning from Korea he became a Plumber and Pipefitter and worked at the Portland Company then the Carvel Company before retiring. Tony was a lifelong member of the Amvets Post #25 and the Eagles Aerie #565, where he was known for his amazing cooking skills, especially Italian dishes which would be requested at most large Eagles functions. He was the person at every gathering that everyone looked forward to seeing because his love for life was so infectious. He was known for his music and dancing skills; he would know by the first three notes of “Pretty Woman” that it was time to get the whole crowd dancing! His love of music was so great that he recorded his own Country and Western record. He will be remembered for how deeply he fell in love with Japan while he was there, and how he always wanted to go back and share that beautiful place with the people he loved. He is predeceased by his wife Nicolette (Maiorano); He is survived by his sister Philomena (Mena) Yarnold; his children: David Seneca and his fiancé Tanya Donovan of Framingham MA, Rita Ciaranello and her husband Tom of Falmouth ME and Paul Seneca and his wife Karen of Freeport. He also leaves five grandchildren: Christopher, Robyn, Jeremy, Jaymie and Rosalie, as well as his closest friend and work companion Charlie Hague. The family would like to send a special thank you to the people at to Northern Light Homecare and Hospice for their loving care and support during his final days.